I have been a long time fan of Tim Burton's films from Pee Wee's Big Adventure, Beetlejuice, Batman, Edward Scissorhands, Mars Attacks!, Nightmare Before Christmas, and so much more. 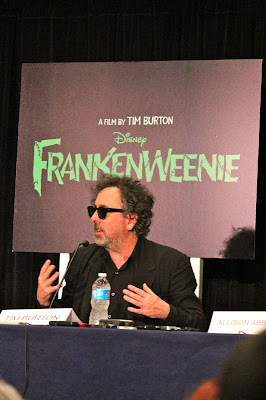 He has come to San Diego Comic Con on many occasions, but we would finally get our opportunity to see him at Disney's Frankenweenie press room. 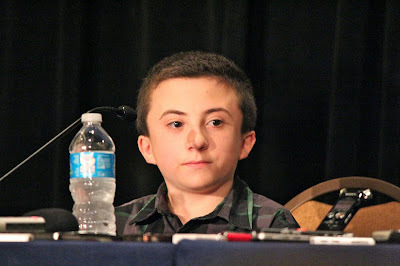 We would get the opportunity to see Tim Burton (director, writer), Atticus Shaffer (Edgar), and Allison Abbate (producer). Frankenweenie was actually a short created by Tim Burton in 1984, which starred Barret Oliver, Shelley Duvall, and Daniel Stern. 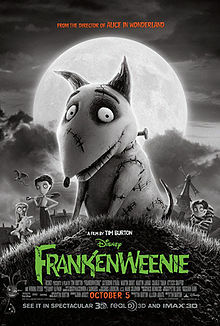 Tim Burton wanted to bring Frankenweenie back, but this time animated, 3D, and for the first time a black and white stop motion movie. He was asked what he felt about the new Batman films. He had a great answer for his versions versus Christopher Nolan's Dark Knight. Atticus Shaffer would mention that he was thrilled to be part of a Tim Burton film. He said besides Frankenweenie, that his favorite Tim Burton film was Corpse Bride. 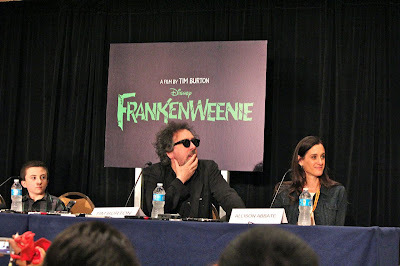 We were excited to be invited in Disney's Frankenweenie press room at San Diego Comic Con, especially since we love Tim Burton's films. 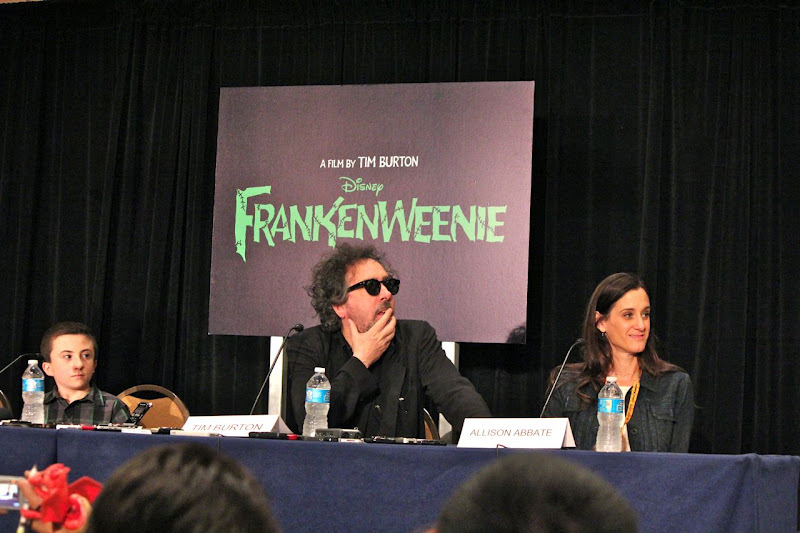 Frankenweenie looks very promising and we are thrilled for the release this October 5th. Tim Burton's Frankenweenie short from 1984 was terrific and now make it into a full feature film is definitely going to be a hit.